A mantra is a word or sound repeated to help in concentration and meditation. (so = “I am” and hum = “that”). To practice this begin by bringing your attention to the rhythm of your breath, feeling the rise and fall of your inhale and exhale. 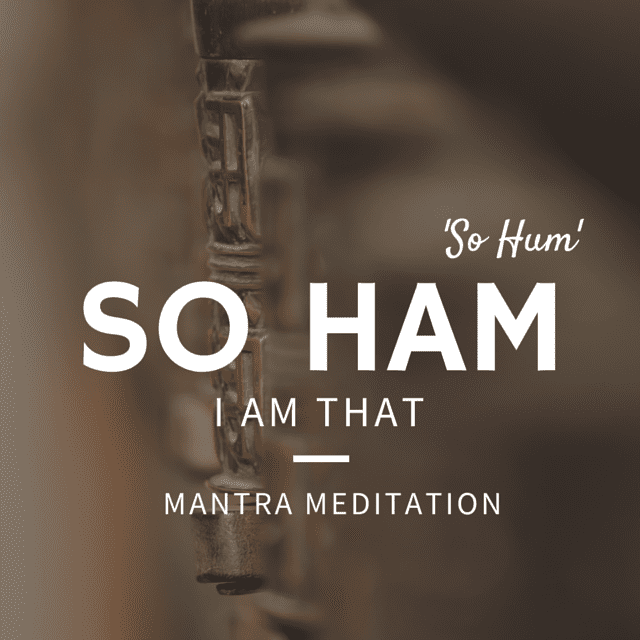 Then begin to contemplate the meaning of “so hum.” As you inhale with the mantra “so,” say to yourself ” I am,” connecting to your essential self. Envisage the source of your breath, where your breath is coming from? Through visualization, imagine the 5 billion human beings and countless creatures on Earth being fed by the same breath. Stay with this contemplation until you naturally begin to settle into a state of unified consciousness. If you find yourself distracted or a thought arises, come back to the simple mantra, “so hum.